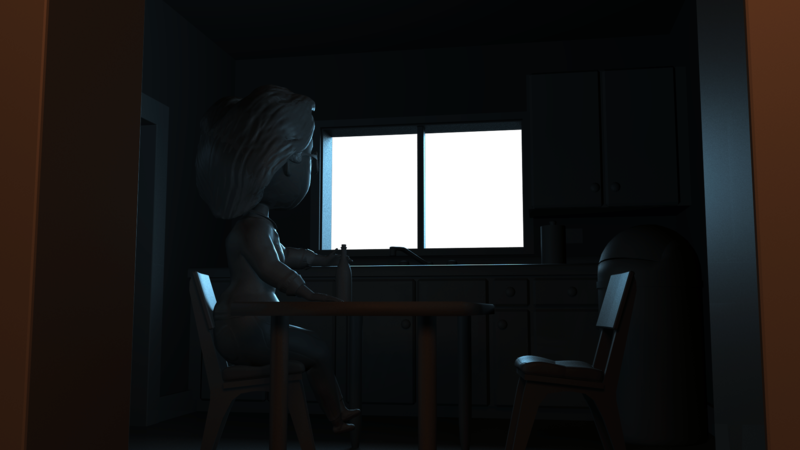 Also here is a small cut of the animation. 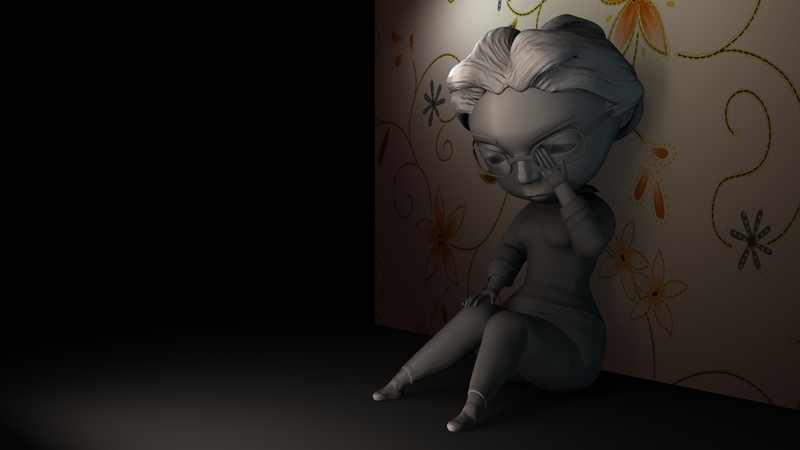 Currently its all blocked out with all the key poses based from the storyboards done. Just going in and smoothing it all out so it flows together between poses. Then after that I would be animating the face expressions then the polish pass last. As you can see the walk cycle has some choppyness that needs to be cleaned up but that video is basically one third of what is animated while the rest she would be posing in front a panning camera. 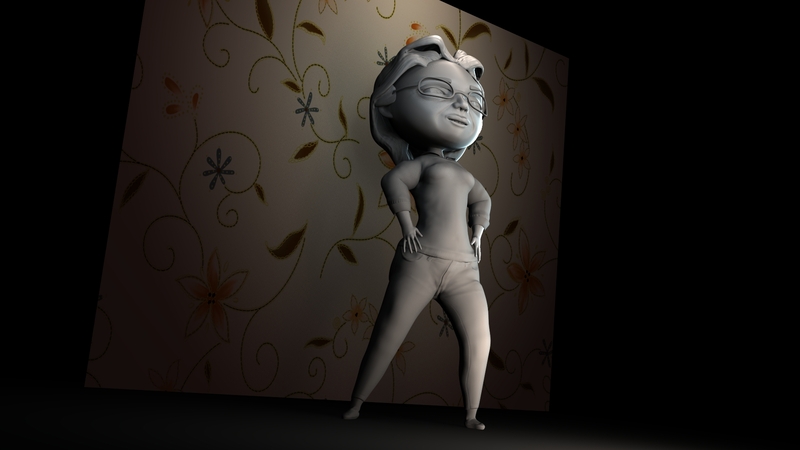 Also this is the final look of the whole animation. 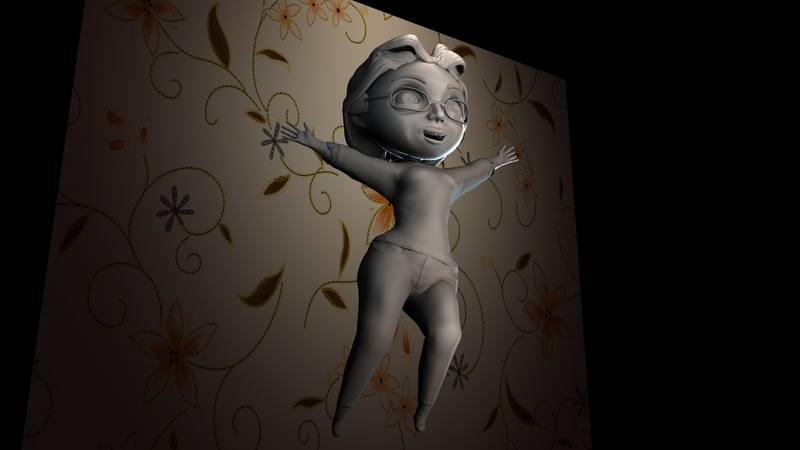 This was achieved with black and white renders of each character and asset in this toon sketch shader. Compiled together with various filters and composting to give that stamp look. I found it pretty clean and fast to get out.